File: Mokulele Airlines plane at Kahului Airport on Maui, Jan. 26, 2018. 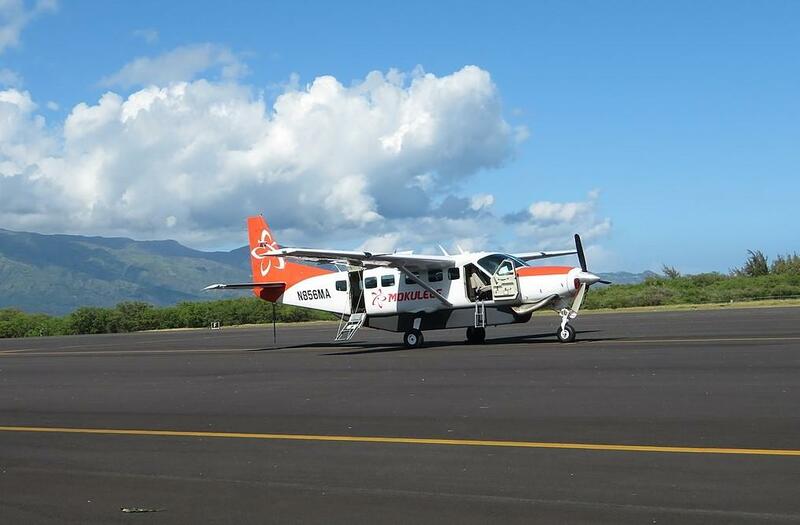 Southern Airways says it is laying off 10 percent of Mokulele Airlines' staff after acquiring the Big Island-based carrier earlier this month. The Honolulu Star-Advertiser reports the airline confirmed yesterday that it has cut about two dozen employees, mostly ground staff in Hawaii. The airline previously said the airline would absorb all of Mokulele's employees following the deal that closed Feb. 8. Mokulele president Rob McKinney said in a letter to employees that the staffing changes were a "short-term pain necessary to ensure the longevity of our brand." Southern chief marketing officer Keith Sisson says the carrier hopes the cuts are short-lived. Southern Airways became the largest commuter airline operator after acquiring Mokulele. It now serves 30 cities across five U.S. time zones.